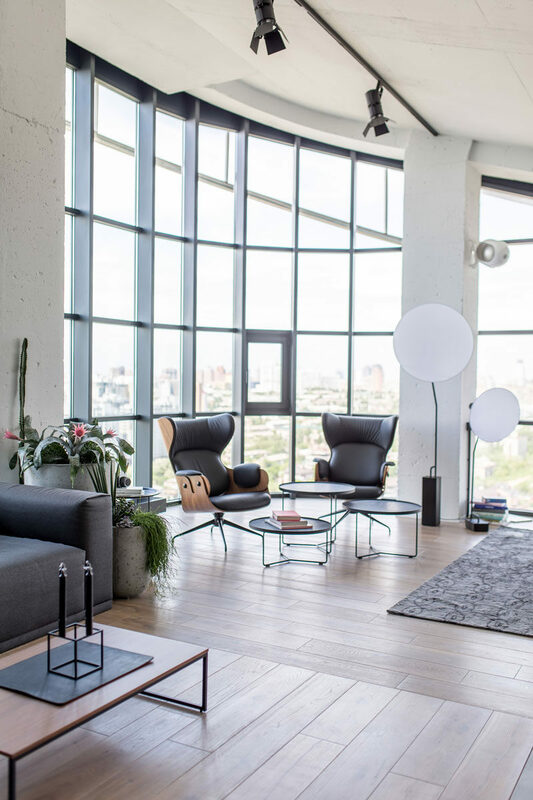 Architecture and interior design firm 2B.Group, have completed the transformation of a penthouse apartment, that’s located in what was once the equipment room of a building in Kiev, Ukraine. 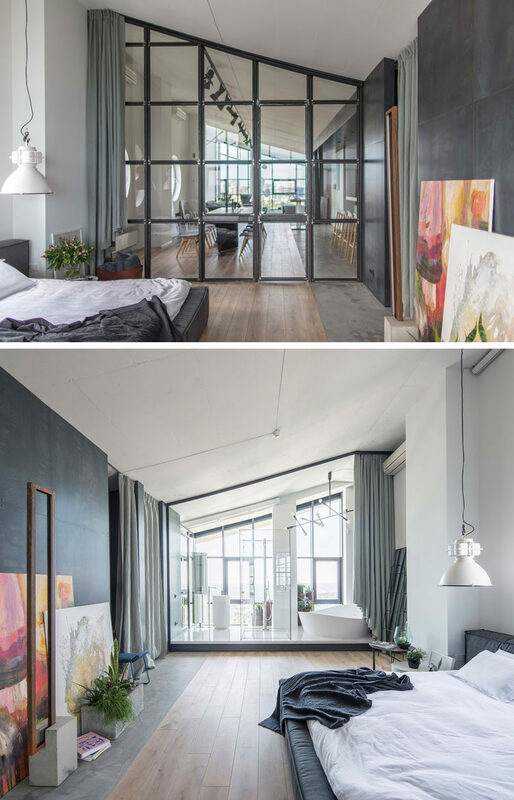 Tall ceilings and metal window frames are featured throughout the apartment that has an industrial modern theme. 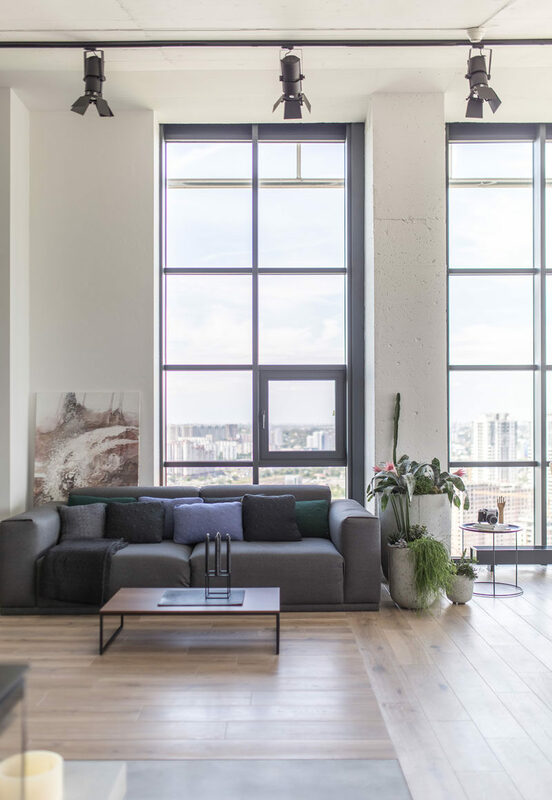 Materials like, wood, concrete, glass, and stainless steel have been used to create an interior that shows off the industrial design, but also creates a comfortable interior. 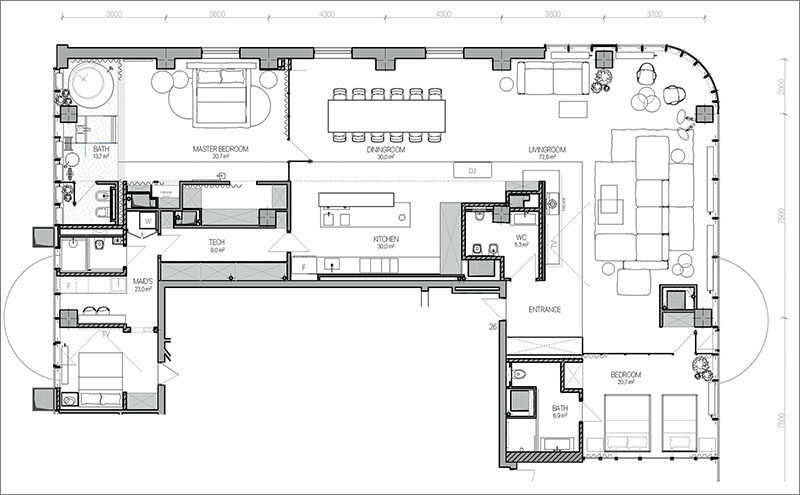 The social areas of the apartment are all open plan, and there’s even a DJ stand for entertaining. 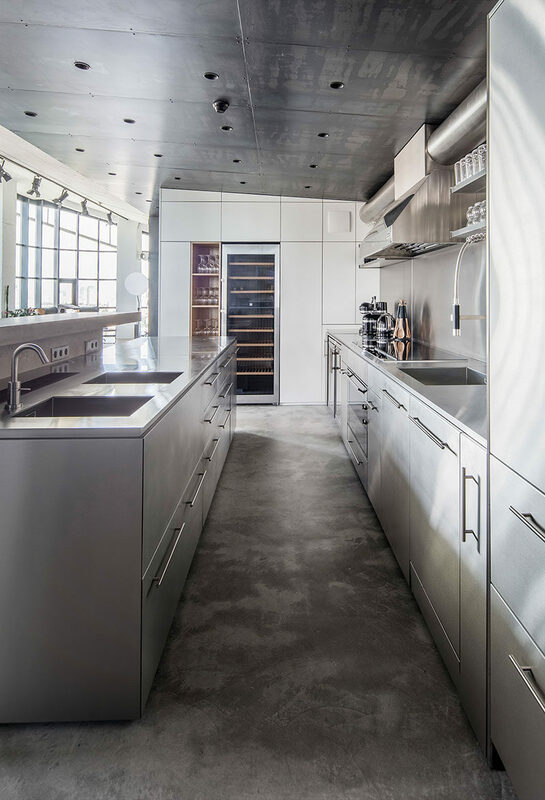 Adjacent to the DJ stand is the kitchen that features stainless steel cabinetry that complements the steel ceiling. 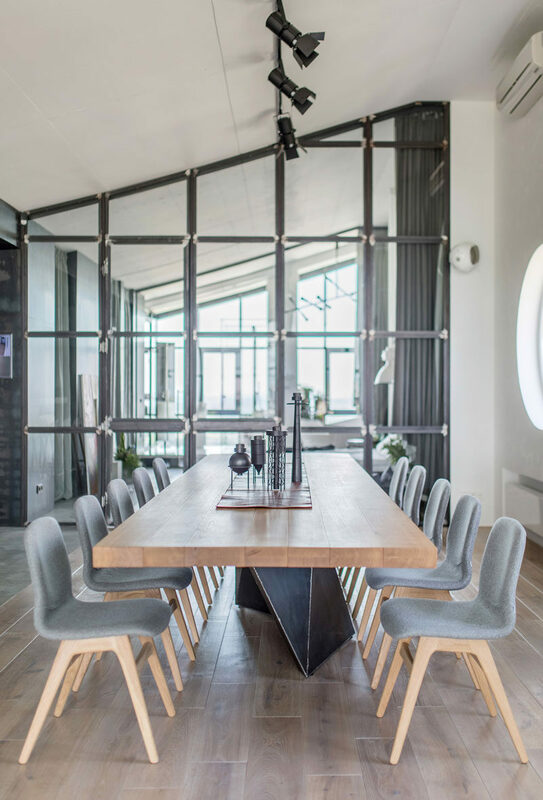 The dining table features a wood top and a steel base that ties in with the flooring and other steel elements throughout the penthouse. Partitioned off from the social areas of the apartment by a wall of steel-framed glass, is the master bedroom. Steel paneling covers the wall opposite the bed, while the sloped ceiling is accentuated by the glass frames. There’s also a guest bedroom, that’s located at the opposite end of the apartment. It features two beds and views of the city. 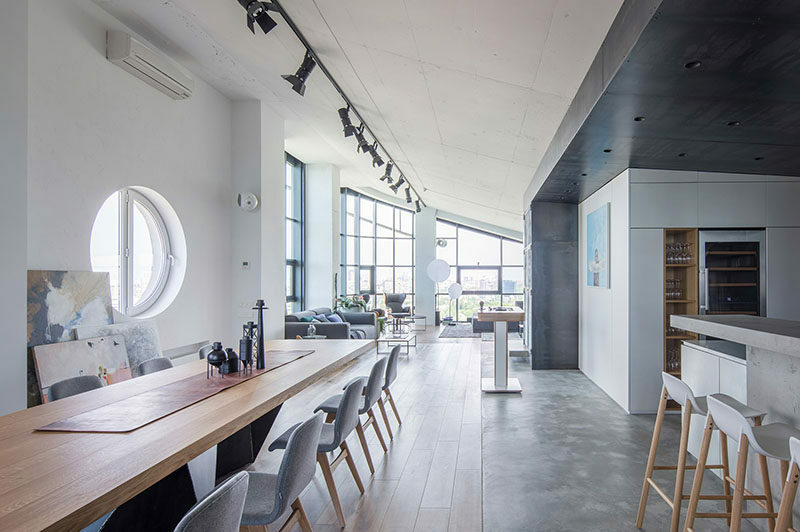 Architects: 2B.group – Slava Balbek?, Alexander Ivasiv?, Yulia Tkachenko? | Project Manager: Andrii Zelinskyi?